​Darite is a small but vibrant community in the Caradon District. Historically a mining community, it now has a diverse population, but with strong communal bonds as you can see if you come along to one of our numerous events. 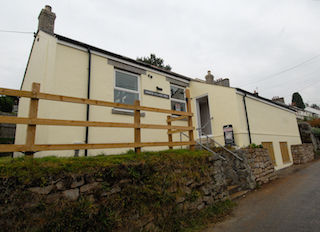 The centre of this activity is the Village hall. Built in 1910, its primary role was to give the men of the village a place to meet and unwind. 100 years later, and you’ll find greater variety. From Toddler Groups to Musical Soirees, from Craft Fairs to History Clubs, from Morris Dancers to Ukulele Orchestras, the hall now serves a diversity of people from all the villages of the parish. In 2015, the hall underwent a huge renovation project. Over £200,000 went into enlarging and improving the building, and fitting it out with new amenities. We have created a traditional-looking, yet thoroughly modern centre of the village community - a sustainable focal point for the community over the decades to come as it has been for the last century.